Jason M. Hatfield holds the designation of Super Lawyer based on his professional achievements and recognition by his peers. No more than five percent of lawyers are awarded this status. Jason is also recognized and awarded for being one of the Best Lawyers in America. In addition, Jason has the highest possible rating of AV – preeminent with the prestigious Martindale Hubbell legal group. Jason moved to Rogers, Arkansas in junior high and started working when he was 14 years old. As a kid Jason ran a paper route, worked fast food, stocked shelves for retailers, and loaded trucks in warehouses. As an adult Jason worked his way through college on constructions sites and performed every type of job in a poultry plant, including evisceration, debone and further processing. He witnessed all kinds of injustice occurring to injured hard working Arkansans and has dedicated a large part of his practice representing injured workers before the Arkansas Workers’ Compensation Commission. Jason attended the University of Arkansas in Fayetteville, Arkansas, and obtained a Bachelor of Science pre-medicine degree in Microbiology in 1991. In 1992, he began working on his Master of Science degree in Food Science and completed his Master’s Thesis in 1994. The research he performed while obtaining his degree was later published in the Journal of Food Quality, titled Minimizing Color Degradation in Blush Wines. He began law school while finishing his Master’s Thesis and graduated from the University of Arkansas School of Law in 1997. 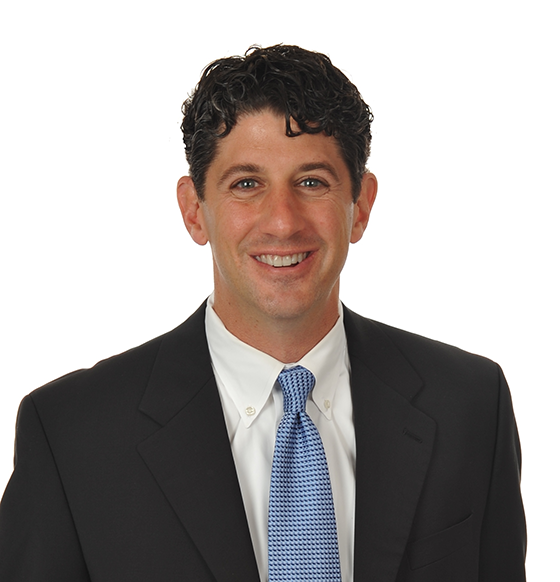 Since graduating law school Jason has participated in hundreds of depositions and bench trials. He has tried numerous cases to jury in Arkansas Circuit Courts and Federal Courts, and argued his jury verdict in Boudreau v. Wal-Mart Stores, Inc., at the 8th Circuit Court of Appeals, 249 F.3d 715 (2001). He has successfully reversed trial court rulings in three separate reported cases at the Arkansas Supreme Court and the Arkansas Court of Appeals. Those cases are reported as Green v. Alpharma, Inc., 373 Ark. 378 (2008); Bohannon v. Wal-Mart Stores, Inc., 102 Ark. App. 37 (2008); Barrett v. C.L. Swanson Corp., 2010 Ark. App. 91 (2010). The Arkansas Court of Appeals affirmed rulings in favor of his clients in Kitchen Distributors v. Greenlee, 2011 Ark. App. 741 (2011), American Eagle Airlines and Specialty Risk Services v. Don Berndt, 2013 Ark. App. 230 (2013) and Mercy Hospital v. Hendley, 2015 Ark. App. 527 (2015). Jason’s closing argument during a three week jury trial in 2009 in the 4th Judicial District, Washington County, State of Arkansas, was quoted by New York Times bestselling author David Kirby in his book, Animal Factory. Jason’s law firm, Jason M. Hatfield, P.A., focuses its law practice in the areas of personal injury, tractor-trailer wrecks, car accidents, wrongful death cases, workers compensation, and social security disability. In 2015, Jason successfully litigated many workers compensation cases including: Davis v. Complete Towing, 2015 AR Wrk. Comp. Lexis 3, Rosales v. Elite Masonry, AR. Wrk. Comp. Lexis 30, Mackey v. City of Fayetteville, AR Wrk. Comp Lexis 158, Hollingsworth v. J B Hunt, 2015 AR Wrk. Comp. Lexis 200, Birtcher v. City of Mena, 2015 Wrk. Comp. Lexis 260, Yousey v. Multi Craft, 2015 AR Wrk. Comp. Lexis 322, Johnson v. Berryville School District, 2015 AR Wrk. Comp. Lexis 424, and Ambrose v. TLI Carpet, 2015 AR Wrk. Comp. Lexis 421. Jason tried more than 20 cases in 2016 and worked on appeals related to those cases at the Arkansas Court of Appeals, Arkansas Supreme Court, and the 8th Circuit Court of Appeals in St. Louis, Missouri. Jason successfully tried a workers compensation case wherein a city worker was attacked and seriously injured while performing his job shutting off water meters in locations wherein residents failed to pay their bill. When the worker arrived at the residence he was attacked and able to subdue the attacker while waiting for the police. The worker held down the initial attacker when another resident began jumping and stomping on him, causing him to have a stroke which resulted in paralysis. The Workers Compensation Commission awarded a fifty percent wage loss disability over the permanent anatomical impairment rating issued by his physician. After listening to oral arguments in Little Rock, the Arkansas Court of Appeals affirmed the award. Birtcher v. Mena Water Utilities and Arkansas Municipal League, 2017 Ark. App. 210, 518 S.W.3d 707. In another case, Jason represented a construction worker that was severely injured when his heavy equipment overturned while unloading it from a flatbed tractor trailer. Innumerable facial fractures resulted in misalignment of his eyes, resulting in severe double vision. After trial the Arkansas Workers Compensation Commission concluded that the double vision resulted in 100% loss of vision in one eye as opposed to the employer’s argument that it was only a 25% loss of vision. This conclusion was affirmed by the Arkansas Court of Appeals in Multi-Craft Contractors, Inc., and Gallagher Bassett v. Yousey, 2017 Ark. App. 343. Jason is a member of the Arkansas Trial Lawyers Association and has been elected by his peers to serve a fifth term on the Board of Governors. He currently serves on the Legislative Committee and is a member of the Golden Gavel Club. He has previously served as Chairman of the Listserve Committee and served on the Amicus and Membership Committees. He has been a Champion of Justice for thirteen consecutive years and received the President’s Award in 2008 in recognition of his outstanding service and dedication to the Arkansas Trial Lawyers’ Association. Jason served as President of the Washington County Bar Association in 2012. Jason has been a member of the American Association for Justice and Arkansas Bar Association since 1997. In 2014, Jason was elected to the Arkansas Bar Association’s House of Delegates. He has led continuing legal education seminars on a variety of litigation topics including: workers compensation, premises liability, tractor-trailer wrecks, courtroom technology, and expert testimony. Jason is married to Dessa Hatfield. He coached his sons’ basketball and football teams through middle school. The family enjoys professional football and basketball games, Arkansas Razorback sports and fantasy football. In their spare time they enjoy traveling, gardening, swimming, running, and fishing. The Law Office of Jason M. Hatfield, P.A., provides legal assistance to injury victims and people with denied disability claims throughout Northwest Arkansas, including the towns of Fayetteville, Bentonville, Springdale and Rogers.